Matt Johnson, of Matt & Kim performs during their headlining set at the 10th annual Village Voice Siren Music festival on Saturday, July 17, 2010. Additional photos from the festival are available on Flickr. Kim Schifino of the Brooklyn, NY duo, Matt & Kim, reacts to the audience during their headlining set at the 10th annual Village Voice Siren Festival on Saturday, July 17, 2010. Additional photos from the concert are on Flickr. A young woman climbed a gate to get a better view of Harlem and the audience during the 10th annual Village Voice Siren Festival on Saturday, July 17, 2010. Additional pictures from the show are available on Flickr. Marissa Paternoster of Screaming Females performs on Saturday, July 17, 2010 during The Village Voice's 10th Annual Siren Festival at Coney Island in Brooklyn, NY. Additional pictures from the show are available on Flickr. Marissa Paternoster of New Brunswick, NJ's Screaming Females performs on Saturday, July 17, 2010 during The Village Voice's 10th Annual Siren Festival at Coney Island in Brooklyn, NY. Additional pictures from the show are available on Flickr. Kelson Mathias of Future of the Left of Cardiff, Wales, joins the audience on Saturday, July 18, 2009 at the Village Voice Siren Festival in Brooklyn, NY. Additional pictures from the free, day long festival are available in this Flickr set. Andy Falkous of Future of the Left of Cardiff, Wales, performs on Saturday, July 18, 2009 at the Village Voice Siren Festival in Brooklyn, NY. Additional pictures from the free, day long festival are available in this Flickr set. 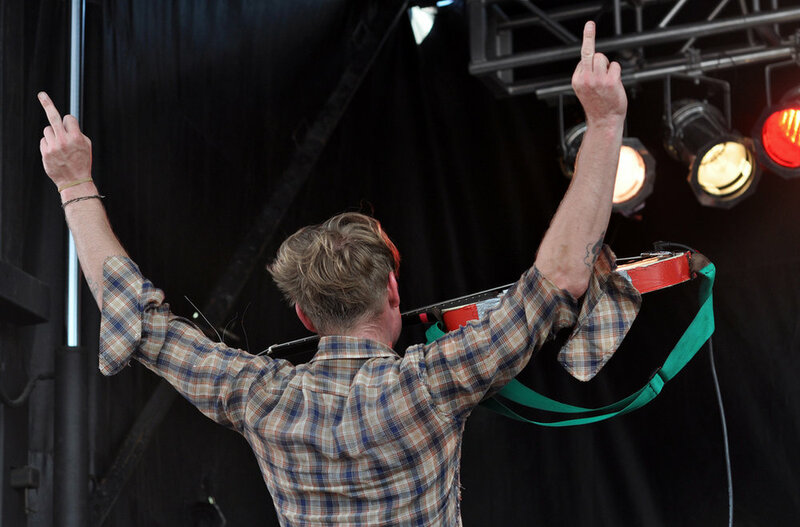 Singer/guitarist John Dwyer, of Thee Oh Sees, holds his guitar in his mouth while flipping off the crowd (with both hands!) during the ninth annual Siren Festival on Saturday, July 18, 2009. Additional photos from the day long festival are available in this Flickr set. Kevin Drew of Broken Social Scene performs during the Village Voice Siren Festival on Saturday, July 19, 2008. The band headlined the Stillwell Stage at Coney Island in Brooklyn, NY. Additional photos from the festival are available on Flickr, in this set. Kevin Drew of Broken Social Scene performs during the Village Voice Siren Festival on Saturday, July 19, 2008. The band headlined the Stillwell Stage. Additional photos from the festival are available on Flickr, in this set. Stephen Malkmus performs with this band (The Jicks) at the eighth annual Village Voice Siren Festival at Coney Island in Brooklyn, NY on Saturday, July 19, 2008.Additional photos from the day long festival are available on Flickr, in this set. Nicholas Thorburn (with sparklers) of Islands and Despot perform during Island's set on Saturday, July 19, 2008 at the Village Voice Siren Festival at Coney Island in Brooklyn, NY. Additional pictures from the festival are available on Flickr, in this set. 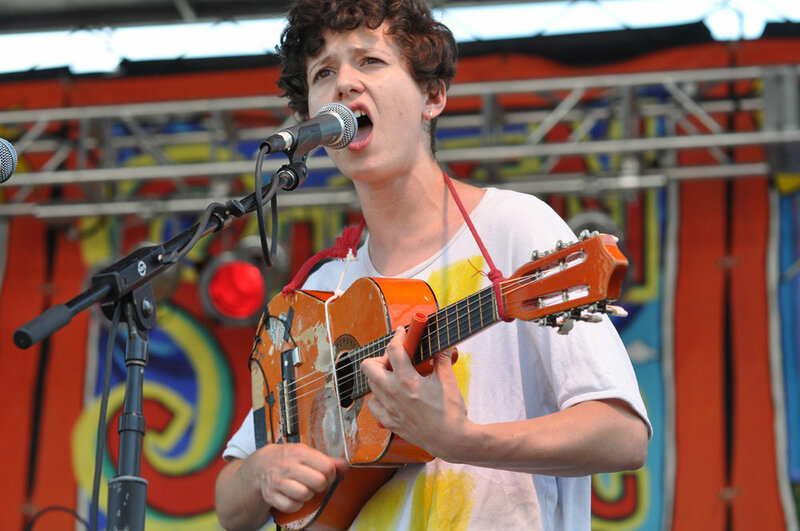 Johnny Whitney of Jaguar Love performs during the eighth annual Village Voice Siren Festival on Saturday, July 19, 2008 at Coney Island in Brooklyn, NY. The free, day-long festival might be the last one held in this location since Coney Island is scheduled for redevelopment. Additional pictures from the festival are available on Flickr, in this set. Popcorn, the foul member of Black Lips, makes an appearance at seventh annual Village Voice Siren Festival on Saturday, July 21, 2007. Sylvain Sylvain of The New York Dolls performs during the seventh annual Village Voice Siren Festival on Saturday, July 21, 2007. To the one or two people who may be reading this, the Siren Festival series will end after tomorrow's post. This is either good or bad news depending if you're tired of these pictures or not. 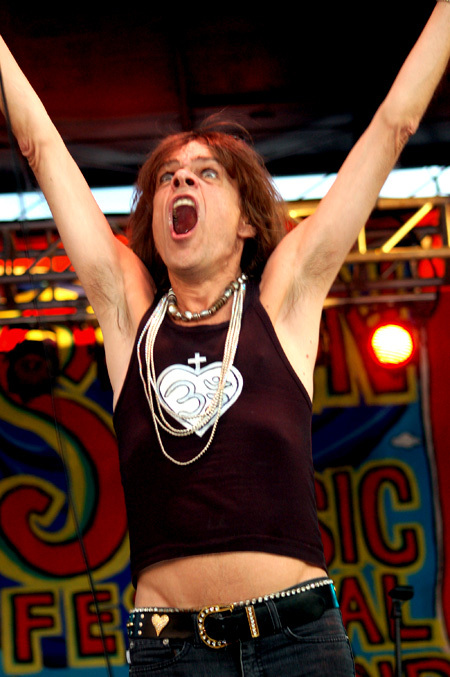 David Johansen of The New York Dolls performs during the seventh annual Village Voice Siren Festival on Saturday, July 21, 2007.